Click each photo to increase it's size for ease of viewing. Mark handling Aust Gr Ch Driftway Desert Storm (Zac) to one of his 33 Best in Show wins. 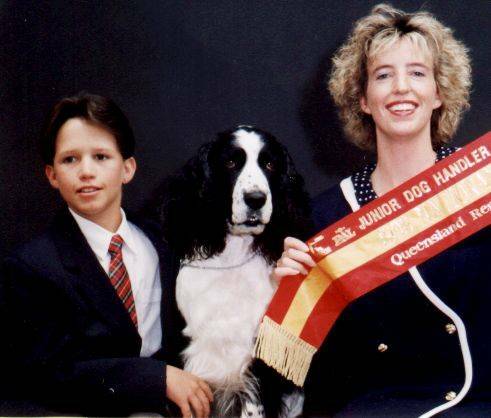 Our son Keegan (aged 12) wins the Qld Final of the 1998 PAL Junior Handlers competition. 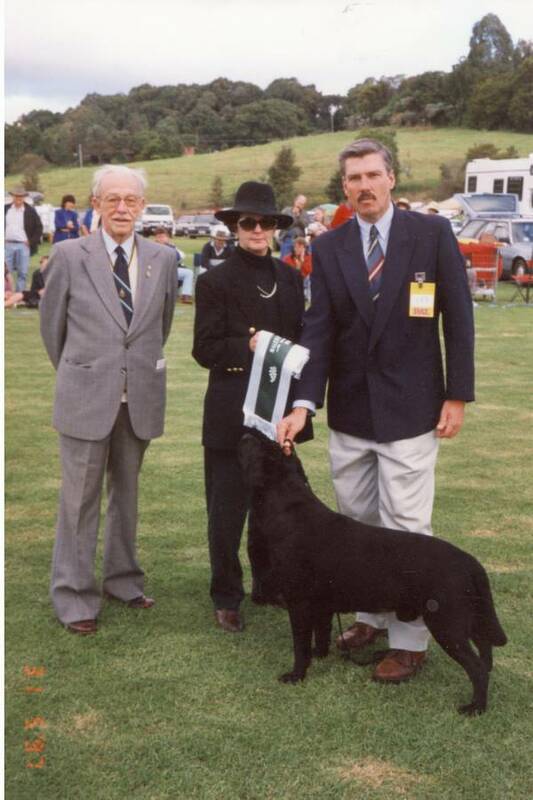 With his favourite JH Dog "Flash" (Aust Ch Fraelighte Jack Flash)by his side they were an awesome team. 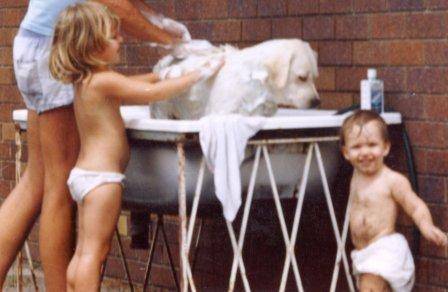 Back in 1982 (before hydrobaths became essential kennel equipment) bathing the dogs was a family affair. 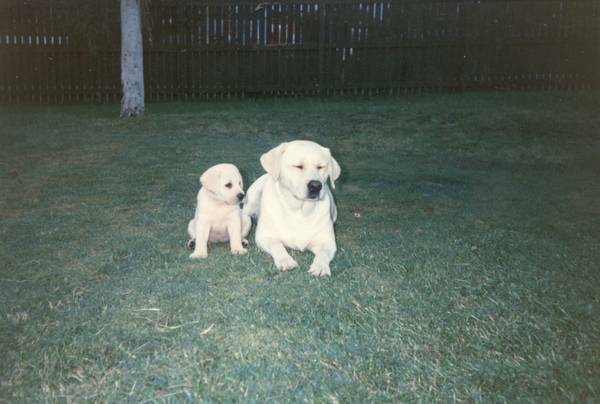 "C'mon Mum - look at me - you know you want to". 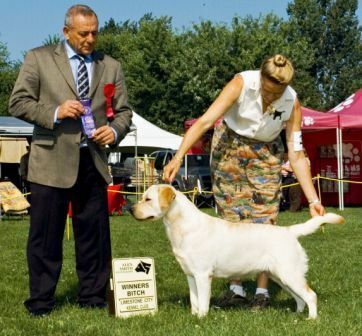 Ch Trenow Prelude (imp UK) with a daughter sired by Eng Ch Trenow Music Man (UK). 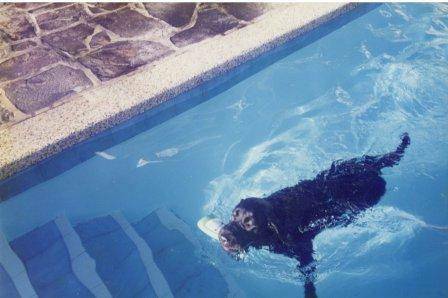 "Blake" - Int Ch Southbank Piano Man (AI) enjoys his morning swim in the family pool. 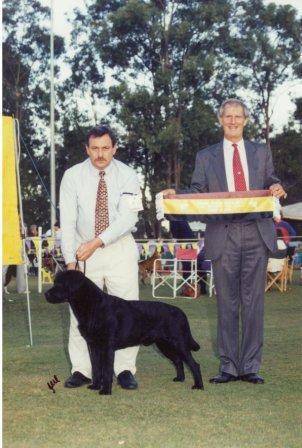 Three of our very early show labradors from the Charmerla kennels of Mrs Pat Cameron - Ch Charmerla the Flame (Flame),Charmerla the Skylight (Sky)and Ch Charmerla the Kaiwarra (Duckfeathers). Sold as a pet at 10 weeks. Just goes to prove that sometimes the Ugly Duckling really can turn into a beautiful Swan. 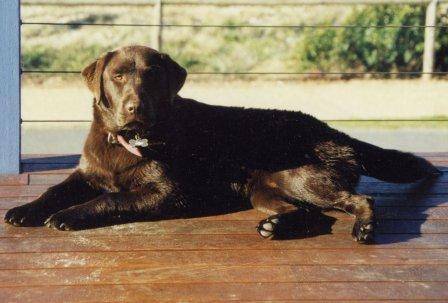 When we eventually saw her as a 3yo she had been desexed!!! 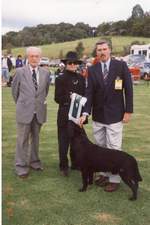 Guy Spagnolo (Driftway) judging a Labrador Retriever Specialty Show in Canada August 2008.